Queens Library in partnership with The Louis Armstrong House Museum and The Kupferberg Center for the Arts at Queens College celebrates the 50th Anniversary of Louis Armstrong’s original recording of the iconic song “What a Wonderful World.” This is a song inspired by the Great Satchmo’s life in Queens – a song that still inspires millions of people around the world! Join us for performances by Grammy Award nominee David Ostwald and his ensemble The Louis Armstrong Eternity Band, as well as world musicians including Akoko Nante, Blue Pipa, Prassana, and Radio Jarocho. 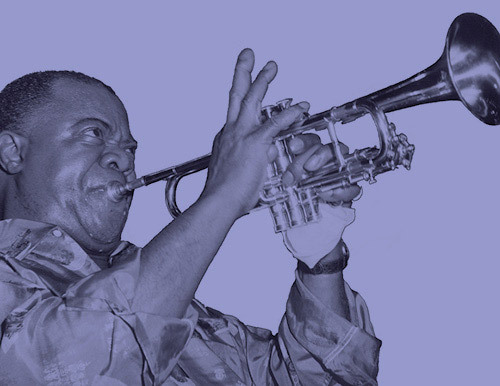 You’re also invited to lectures on Louis Armstrong, one in English and one in Spanish. 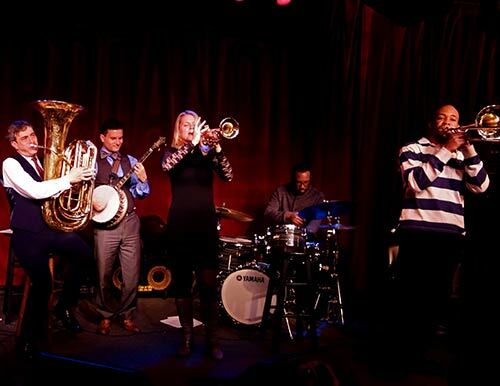 David Ostwald’s Louis Armstrong Eternity Band, one of the few traditional New Orleans-style bands on the contemporary jazz scene, breathes new life into classic works by Armstrong, Duke Ellington, Jelly Roll Morton, and Bix Beiderbecke without missing a beat, always true to the joy and heart of the music! Ms. Min's compositions are inspired by Chinese folk, regional operas, and Taoist music. 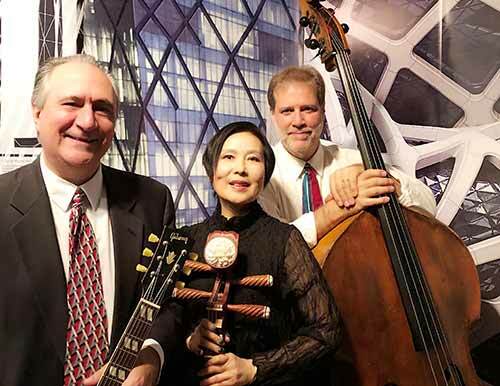 The pipa master/vocalist/composer and her trio perform her new project which reinterprets the work of legendary jazz trumpeter and composer Buck Clayton, Chinese composer Li Jinhui, Count Basie, and Duke Ellington. Buck Clayton was a leading member of Count Basie’s Old Testament Orchestra. Clayton is credited with helping close the gap between American jazz and traditional Chinese music. 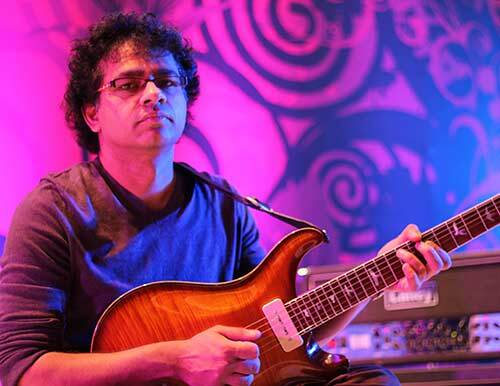 Prasanna, a guitarist and composer with a prolific and diverse body of work, will offer his interpretation of the song as well as a medley of unique Indian Carnatic music. Prasanna has earned worldwide praise not only for his expertise in performing the ancient and demanding art of Carnatic music on the electric guitar but also for the special and instantly identifiable way with which he blends Carnatic music with contemporary western and world music. 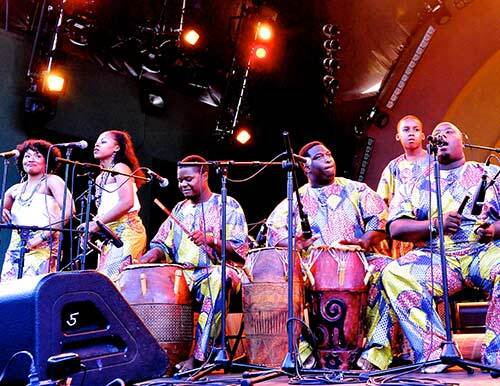 Akoko Nante Ensemble, a Pan African percussion/vocal group based in Queens, presents music that has been harvested from the continent of Africa and through its diaspora. They will offer their rendition of ‘What a Wonderful World’ as well as songs from locales as diverse as the court of the royal palaces of Ghana, the groves of old Haiti, and the seaside shanties of Cuba. Experts and archivists from the Louis Armstrong House Museum in Corona, Queens will offer a unique, insider’s view of the Great Satchmo’s life and times; his incredible artistic achievements, his extensive travels around the world, and his undeterred love for Queens and its people will come to life through this multimedia presentation that includes rarely seen archival material, pictures, film, and recordings. Q&A with the audience to follow. Radio Jarocho will offer its interpretation of the song as well as a lively compilation of traditional folk music from Mexico. 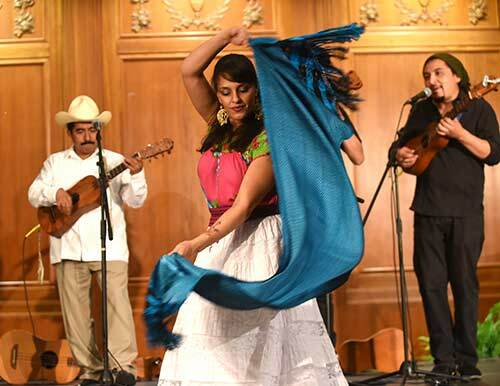 Radio Jarocho plays son jarocho, the rowdy, upbeat, and at times melancholic music of the countryside of Veracruz, Mexico, and mixes it with the sounds of New York’s urban life. Conjunto Guantanamo was founded in 2003 by conga drummer Ulises Beato. Conjunto Guantanamo also features Pepito Gomez (vocals), Itetsu Nasuda (piano), Carlos Mena (bass), and Oscar Oñoz (trumpet). 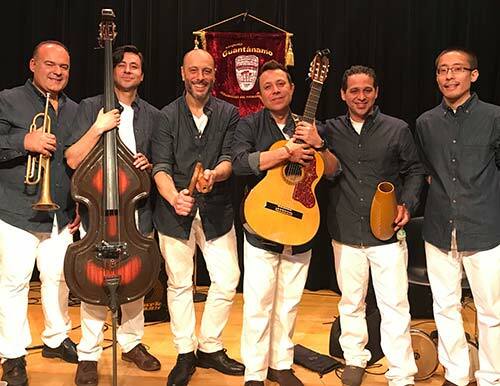 Playing authentic Afro-Cuban rhythms like son montuno, cha-cha-cha, mambo, and rumba with contemporary energy, their performances sometimes transition into extended experimental descargas, a type of Afro-Cuban improvisational jam session. Come and enjoy Conjunto Guantanamo’s own afro-cuban interpretation of Satchmo’s 'What a Wonderful World”! 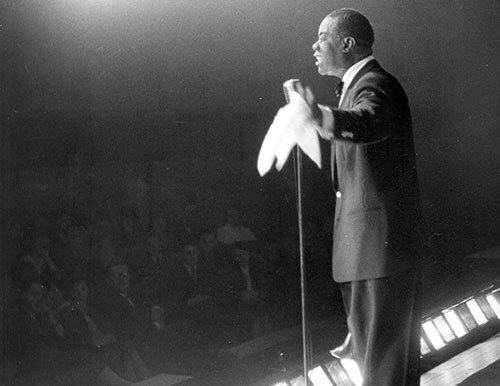 Come for this screening of a short documentary film about Louis Armstrong's song "What A Wonderful World."